Control and streamline your budgeting process with a simple, adaptable and easy-to-use budgeting planning solution built for your business, your users and your Microsoft Dynamics ERP system. Sana Webinar: Why Dynamics NAV users need integrated e-Commerce now? Microsoft Dynamics NAV is the powerful business system and central hub for the information that drives your company forwards. So, why wouldn’t you have an equally powerful web store to match? Microsoft Dynamics 365 Business Central delivers an intelligent and complete business application for small to medium-sized companies. Remove siloed information, Excel workarounds and error prone manual processes with a solution with all the familiarity and ease of use of Outlook. If you are looking for a new business software solution and have Dynamics 365 Business Central on your shortlist, then this is the event for you. Discover how Dynamics 365 Business Central compares and uncover which solution will fit your business best. Webinar: Has your business system passed its sell-by date in the Food industry? Do you have multiple systems across your Food business that are beginning to stifle your ever-growing organisation? Are you concerned that the next mistake you make could cost your organisation greatly in the shape of a fine or even your public perception? Microsoft Dynamics 365 delivers an intelligent and complete business application for small to medium-sized companies. Remove siloed information, Excel workarounds and error prone manual processes with a solution with all the familiarity and ease of use of Outlook. If you are looking for a new business software solution and have Dynamics 365 on your shortlist, then this is the event for you. Discover how Dynamics 365 compares and uncover which solution will fit your business best. For the very first time, Technology Management will be exhibiting at UK Construction Week on Stand BT245 between the 9th and 11th of October and we want you to join us at the NEC in Birmingham! The Food and Drink IT Summit will take place on Tuesday 2nd October at the Ricoh Arena, Coventry and will welcome the leading food and beverage companies interested in improving their business through data, IT, software and more. Over 2,000 delegates are anticipated to attend the event which is being organised by Industry leading publication Food and Drink Business Europe who have over 20 years of experience in the food and beverage manufacturing industry. Webinar: Why on earth should you care that Microsoft has specialist business software for the Building Materials industry? Attend this complimentary webinar to learn how Dynamics Building Materials, an end-to-end Microsoft business software can help connect all your operations, drive up efficiency and grow your business. Designed for Managing Directors, Finance Directors and those responsible for business systems in building materials manufacturers and distributors, we'll demonstrate why having specialist software for your industry can give you the edge over the competition. Multiple, disparate applications mean reduced productivity, duplication of effort, high error rates and a lack of visibility of real-time and accurate information on business performance. 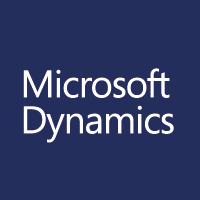 Dynamics Food, (Microsoft Dynamics NAV specifically designed for the Food Industry), is a business management ERP software solution that connects the different parts of your organisation for improved visibility and control. Attend this complimentary briefing to discover how to boost the performance of your business. Microsoft Dynamics NAV delivers an intelligent and complete business application for small to medium-sized companies. Remove siloed information, Excel workarounds and error prone manual processes with a solution with all the familiarity and ease of use of Outlook. If you are looking for a new business software solution and have Dynamics NAV/365 or Dynamics CRM on your shortlist, then this is the event for you. Discover how Dynamics NAV compares and uncover which solution will fit your business best.